Let’s start with something as simple as the aforementioned kung pao chicken. This steam table staple brings precisely trimmed pieces of boneless white and dark meat to the table, lightly coated with a slightly sweet, vividly spicy sauce that is in perfect harmony with the chicken-ness of the dish. It is as far a cry from the sloppy, gloppy gook that usually accompanies this standard as Ziyi Zhang is from Amy Winehouse. A feast for the senses is a culinary cliché of the first order, but it’s about the only phrase we can come up with for the lunch pictured above. Beginning with five-spice marinated beef shank with Beijing pickled cabbage straight through the hargow (shrimp) dumplings to the hand-stretched noodles with tomato and egg sauce, the vibrancy of this menu is unmistakable. ELV likes to think of BNN9 as a more sophisticated China MaMa, and now that Chef Xingkai Deng (former Head Chef at China MaMa) has joined Yu and his crew, our staff thinks things will just keep getting better. Caesars Palace picked up the check. Those don’t look like xiao long bao to me. ELV responds: They are really more like jiaozi in chile oil….but the chef kept calling them xiao long bao so that’s how we referred to them. I went in for lunch and visited with Chef Deng. I think your analysis of this place being like a more sophisticated China Mama is spot on. 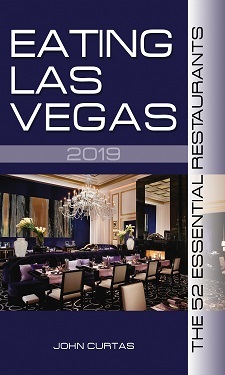 I also spoke with Shelley Yu, The director of Asian Dining at Caesars Palace and she told me how happy they were to have Chef Deng on board and will be changing the menu to highlight his talents. I look forward to returning.